Heber Hatchets is fairly new to town but has already grown to be pretty popular among students and locals here in Rexburg. 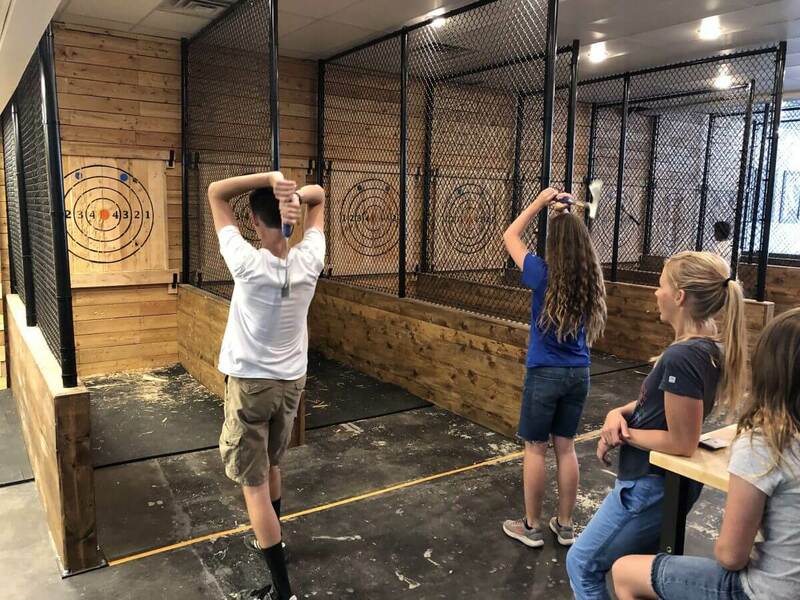 The concept of the place is pretty simple, you go and throw axes at a target and see how close you can get to the bullseye! Ax throwing is something that is super unique to Rexburg and so far, people are loving it! All of their prices are per hour. For a group of 1-3 people, it is $15, 4-7 people is $12 and 8+ people is $10. Each “Bay” consists of 2 lanes and can accommodate up to 10 guests at once. Great for single or group dates! 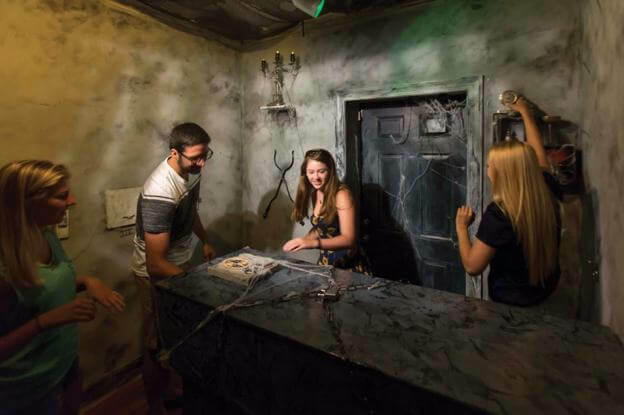 There are three different escape rooms that you can call and reserve; The Betrayal, Prison Break, and Grimms Tales. Once you enter the room the door is locked. You are then given a series of clues and hints in order to meet the end goal which is to escape the room before the time runs out on the clock. For every room, you only get one hour to escape before you lose. Once you have played the room once you will not be permitted to play again, but new rooms come out every month. Every room costs $12 for the hour. If you are trying to go on a date where you can also be active Edge is the perfect place to go! 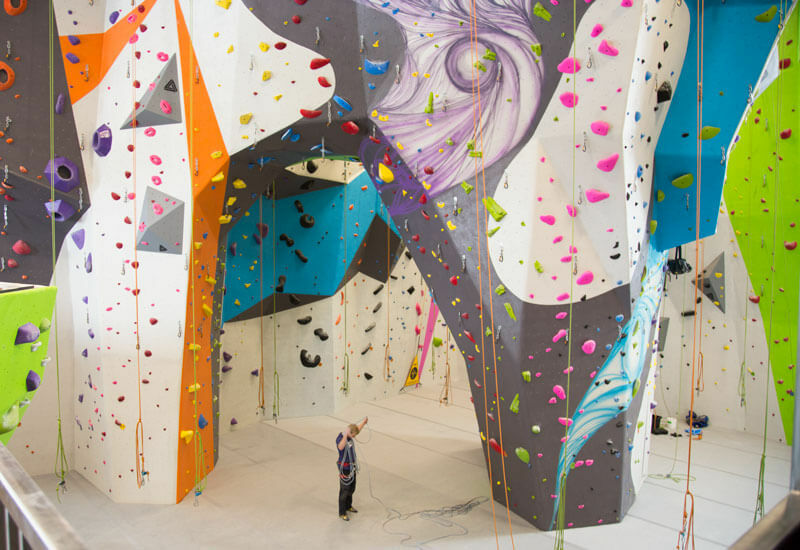 Edge offers several different rock-climbing routes of all different skill levels so that everyone can go even if they have never rock climbed before. They also offer a date night deal that has become super popular. On Fridays from 5-10pm, you and a date can both get shoes, harnesses, and admission for only $25. This makes this date both fun and affordable! Fat Cats has everything from movies, arcade games, mini golf, virtual reality, and bowling. 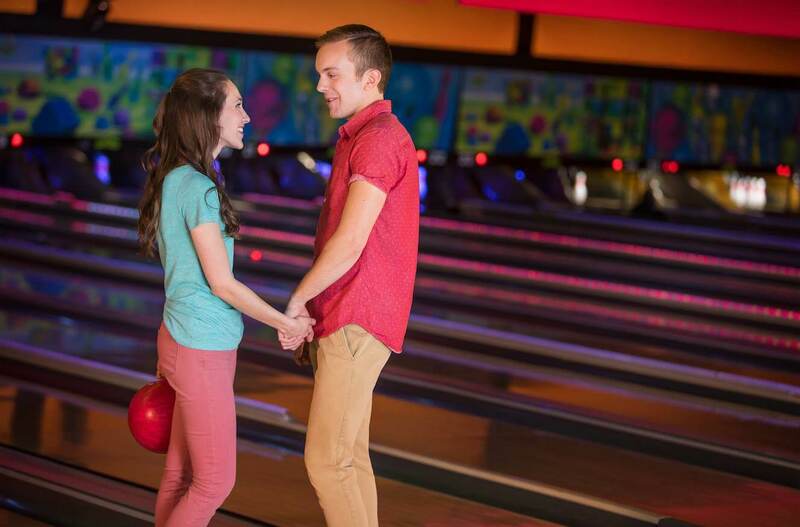 Fat Cats is the perfect place to find an activity that you and your date will both enjoy. Depending on what you choose to do, the prices for activities will vary. There are several specials that go on during the week that you can also take advantage of in order to save some money. Its time for date night!